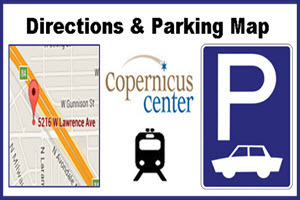 DOORS OPEN: 2 pm ~ Bilingual concert for all ages. In 1994, Jaime Cuéllar founded Mariachi Garibaldi as a privately-run community youth group, which quickly became popular in its hometown of Bakersfield. 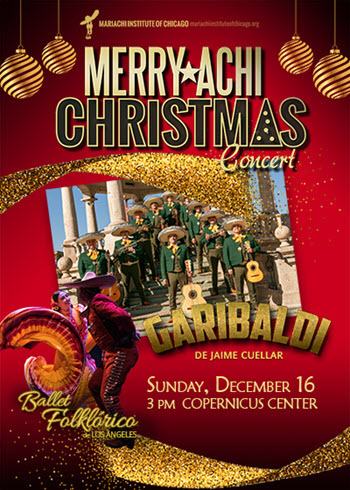 Since then, Mariachi Garibaldi has evolved into an ensemble led by Cuéllar’s son Jimmy “El Pollo” Cuéllar, performing with luminaries such as Mariachi Vargas de Tecalitlán and Mariachi Imperial de México. Director, Jimmy has accompanied many well-known artists such as Pepe Aguilar, Yolanda del Rio, Aida Cuevas among many more. Founded in 2011 by artistic director, Kareli Montoya, this young dance company, Ballet Folklórico de Los Ángeles is distinguishing themselves as a premier Mexican folk dance company. They have already worked with Grammy Award winning artists like Lila Downs, Pepe Aguilar; accompanied the legendary Mariachi Nuevo Tecalitlán and world-famous Mariachi Vargas; shared the stage with Ana Barbara, Morrissey, Ruben (Cafe Tacuba), Las Cafeteras, Paquita la del Barrio; and other famous bands and celebrities. In addition, they performed at Coco’s Academy Award-Winning song, “Remember Me,” at the 90th Annual Academy Awards alongside Natalia Lafourcade, Gael Garcia Bernal, and Miguel. Founded by Dr. Blanca Murillo, the Mariachi Institute of Chicago (MIC) is a nonprofit mariachi conservatory that provides quality instruction in violin, guitar, trumpet, vihuela, guitarrón, harp, and vocals. In addition to providing low-cost instruction to students 8 to16 years-old, MIC works to increase performance and teaching opportunities to professional mariachi musicians along with creating culturally enriching experiences for audiences throughout the Chicagoland area. Proceeds from the ticket sales help support the Mariachi Institute of Chicago’s music programs, scholarships, and travel to the annual International Mariachi Conference.